Hey there! 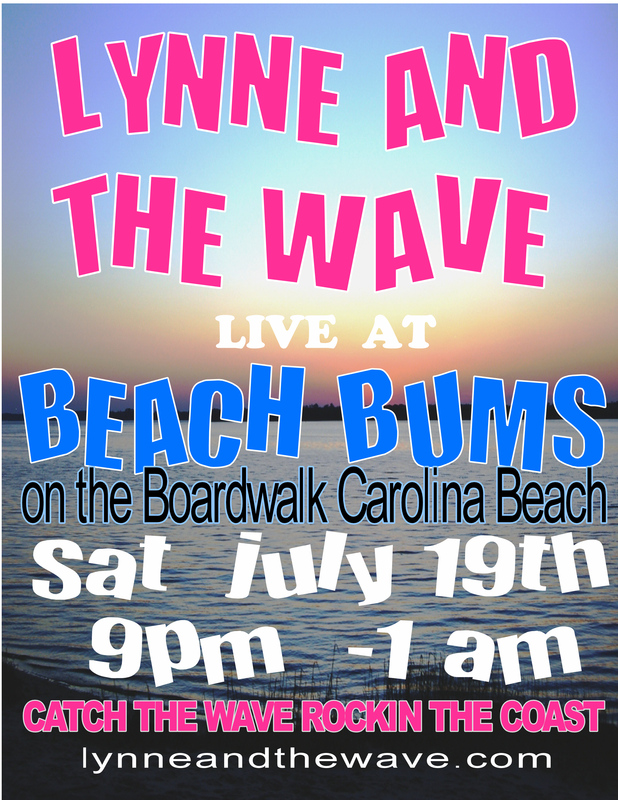 Thanks for dropping by Lynne and the Wave! Take a look around and grab the RSS feed to stay updated. See you around! A Foot Stompin, Booty Shaking, Grinnin till Your Face is Aching, Good Time, You wont want to miss! looking forward to rocking your 2017. Booking now … Stay tuned more news to come… new music, a cd of our originals.. and exciting year. Have been really bad about updating this page… sorry… Happy Birthday to Mike Bennett. We are looking forward to rocking your birthday bash tonight!… look our River Road area gonna be a party going down! The Wilmington Seafood Festival was a huge success and raised lots of money for the Pretty In Pink Foundation. We want to thank Events at Watermark, Chris, Tina the vendors, sponsors, volunteers and all those that attended… especially those who came to support Lynne And The Wave. It was a blast and we look forward to doing it all again next year. Back in the studio again today… 7 songs down….. inching closer to that Lynne And The Wave cd of original tunes! Spent the day recording our new cd in Hourglass Studio’s. Inching closer to a release… can not wait to share it with all of you!!! 7 songs down and a few more to go…..